Brick of Drumsticks – Hickory 5B – No drummer should ever be without the finest quality drumstick and here at Drum Bum we pride ourselves on giving you just that. These bulk sticks have been logged, air kiln dried, shaped, sanded and sealed and are ready to make some thunder. 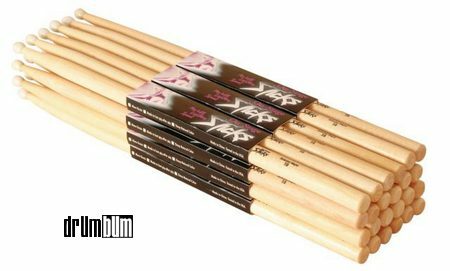 Bulk drumsticks include one brick, containing 12 pairs of sticks. Wood tips. Unique Drumsticks at DRUM BUM!